Mixpak Records and Man Recordings are two labels with a shared, global perspective. Brooklyn based Mixpak has established itself as a proponent of Caribbean music worldwide, while Berlin label Man Recordings specializes in regional electronic styles from the Southern hemisphere. With both labels twisting styles & defying genre expectations, their strong natural connection has already led to artistic crossover, both having independently released tracks from Poirier, Douster, Schlachthofbronx, So Shifty & Wildlife. Following an ingenious & humorous idea spawned by Hat N Hoodie boss, Alex Wahl, an official collision of the two labels has resulted in “PAK MAN”, a collaborative compilation EP that brings together like-minded producers from both sides. To start, Murlo and Wildlife ride a heavy Dembow riddim through contemporary UK clubland on “Control,” quoting Grime and Jacking House along the way. A diva screams, a square wave pulses, and the crowd goes crazy. Poirier and Douster’s effort explores ragga vibes, melding bits of Dancehall and Soca into one skipping whole, accented by a hyper sharp acid synth that takes the whole piece out of the beach and into outer space. Mixpak and Man bosses, Dre Skull and Daniel Haaksman, combine for a frantic track called “Split Screen,” a Power Soca track trapped in a Tron-style neon vortex, which barrels along at breakneck speed until the inevitable system crash and reboot disrupts the VR. Munich and Miami team up for Jubilee and Schlachthofbronx’s driving “Go Deh,” which builds tension before unloading into a dancehall-quoting Miami Bass thunderstorm of alarms and lasers. Milangeles and So Shifty’s collaborative effort “Dembele” gets its name from the talented musician who lent his balaphone skills to the track. A spirited and melodic effort steeped in the traditions of both African and Caribbean music, “Dembele” has its feet firmly planted in the now. 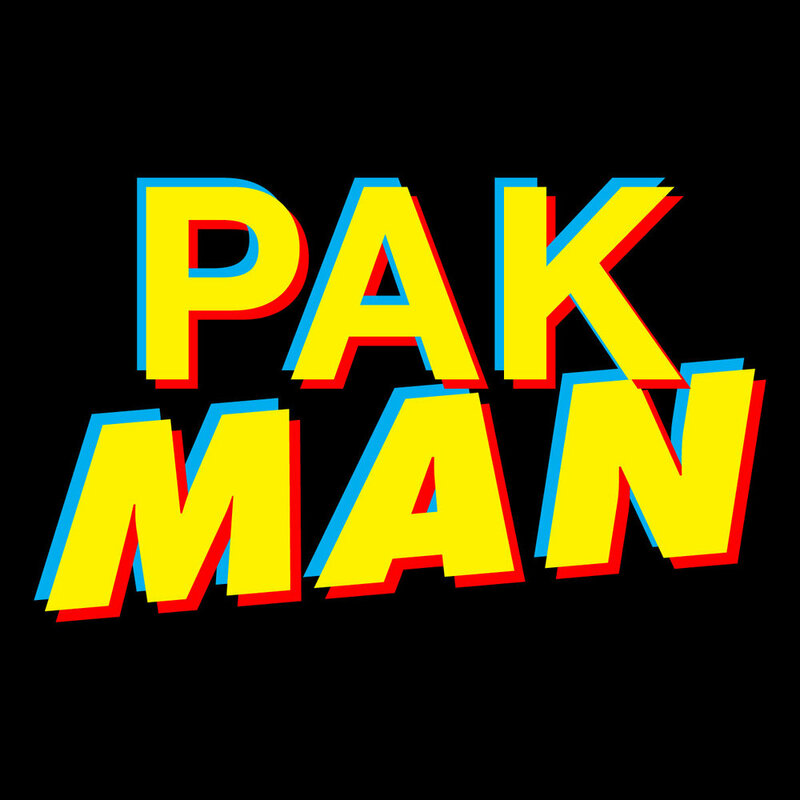 “PAK MAN” is a smart connection between two labels with similar loves. There is nothing forced about the meta-eclecticism of “PAK MAN,” but there is plenty of new and exciting music that points in many different directions while still staying respectful to its source material. This is global dance music for 2014 — the product of unexpected collaboration and complete freedom.